This is a piece that I originally published in Diagnostic Imaging in January 2012, as part of my radiology comic series that I now draw for them twice a month. 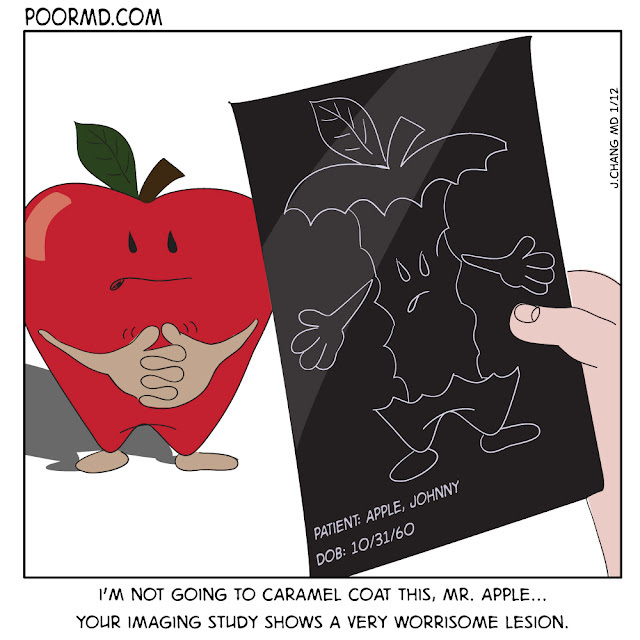 While the humor is geared towards radiologists, you can check out my comics at their site, Diagnosticimaging.com. For those of you who have forgotten what an "apple core lesion" is, refresh your memory here. Sorry, there are no CME credits available for this exercise.